Yomega's answer to the Playmaxx ProYo II and the Dale Oliver Terminator models. Shape is nearly identical to the above mentioned yo-yos. Comes with extra string. 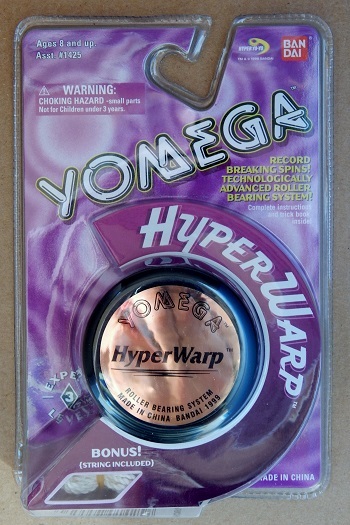 Blue body with gold metallic sticker on side that says, "Yomega - HyperWarp - Roller Bearing System - Made in China - Bandai 1999"